This post was created in partnership with BISSELL®. All opinions and text are my own. Thank you for supporting us and the brands that we love. 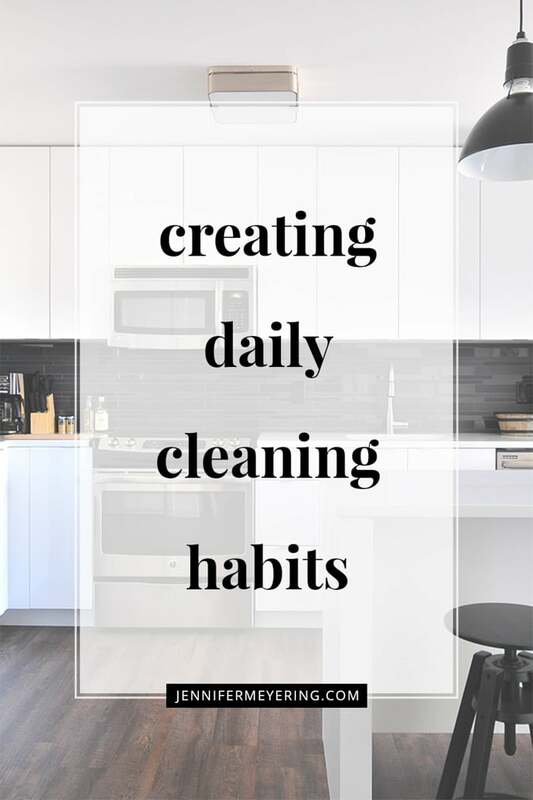 Recently, I wrote about things that I do every day to keep my house clean. Well, today I just spent over 5 hours deep cleaning my house. The new BISSELL® Pet Hair Eraser® Vacuum was some serious inspiration for the deep clean because as soon as it arrived at my door I wanted to vacuum everything in the house! ha! I just saw all the dog and cat hair floating around the carpet and hardwood floors and that was enough to break out the vacuum immediately and start using it. I love a super clean house but I definitely hate the time it takes to deep clean it. I don’t know about you, but I’ve always had a hard time getting housework and cleaning done. Especially when it seems to get overwhelming because of all the dog and cat fur all over that makes it feel like it’s just never clean… no matter how much I feel like I’m cleaning. Doing little things every day and creating daily cleaning habits is a great way to keep up with the daily housework (laundry, dishes, picking up) and keep your house neat and tidy… but what about when it comes to actually deep cleaning your house? Since I’m home all day working on the computer, it seems to just get pushed to the back burner because I think, “It’s still early, I’ll have time to do that later.” Then before I know it, it’s the end of the day and I still haven’t done anything. Despite that, the house is usually clutter free and things are put away. During my days I usually do little things, like put away dishes, make my bed, and pick up the random messes but I definitely skimp on the important stuff… like vacuuming and mopping the floor, or cleaning the toilets, or whatever. Then a day would come where I would be tired of how dirty the floors or how much dog hair has accumulated in the corners because of not sweeping and mopping and I would rigorously clean the whole house. Which in turn makes me not like cleaning even more because it takes the whole day. I think that my biggest struggle was that I would try and just get everything done at one time, in one day, instead of breaking it up into small, daily tasks… and a potentially “laundry free weekend” sounds so much better! So after my initial deep clean and with a little inspiration from the new BISSELL® Pet Hair Eraser® Vacuum, I decided it was finally time to break down the tedious tasks of deep cleaning the house into smaller, more manageable, daily cleaning tasks that would surely keep my house clean, pet hair free, and ready for any visitor that happens to pop by. What I love about this vacuum is that is has a tangle-free brush roll so that the hair actually goes into the tank instead of getting trapped in the roller. It also has an extra large capacity tank with cyclonic pet hair spooling system that separates and captures the pet hair for a hands-free empty. And with the powerful edge-to-edge suction, it just grabs all the pet hair and debris that always seems to accumulate in the corners. Then all I did was print this sheet out, put it in a clear cover, and placed it on my fridge next to a dry erase marker. The dry erase marker works on clear covers also and this way each day when I’m done with that task, I can just mark it off. At the end of the week I’ll just erase it and start all over next week. You are more than welcome to print this out for yourself to use for your daily cleaning. I know that everyone’s house is different but this would definitely be a great place to start with your own. Just right click the image and save as then open it in the folder where you saved it to print! Easy peasy! Do you have a daily cleaning habits? Or how do you tackle all the housework?